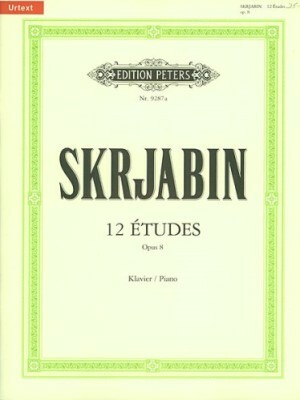 Scriabin, 12 Etudes Op. 8, Peters ed. 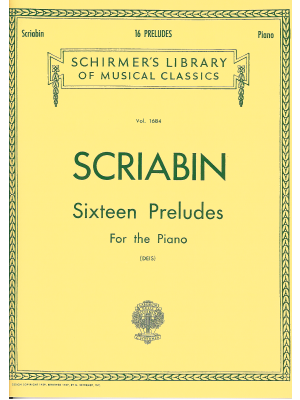 Scriabin, 16 Preludes, Schirmer ed. 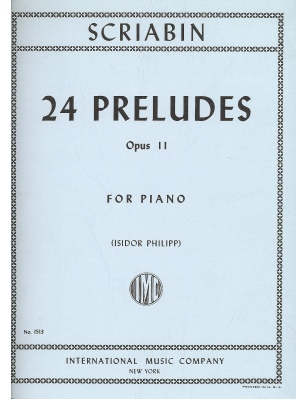 Scriabin, 24 Preludes, Op. 11, IMC ed. 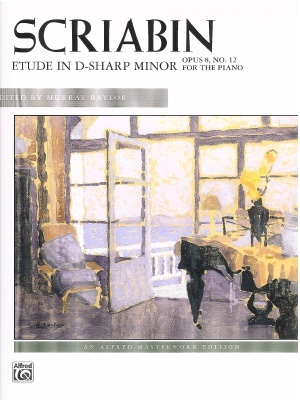 Scriabin, Complete Preludes & Etudes, Dover ed. Scriabin, Etude in D# Minor, Op. 8, No. 12, Alfred ed. 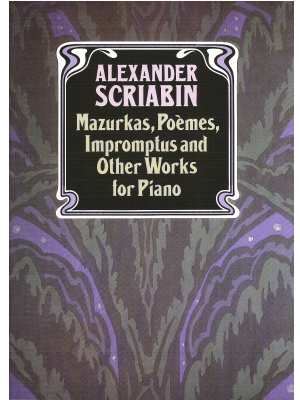 Scriabin, Mazurkas, Poemes, Impromptus and Other Works, Dover ed. 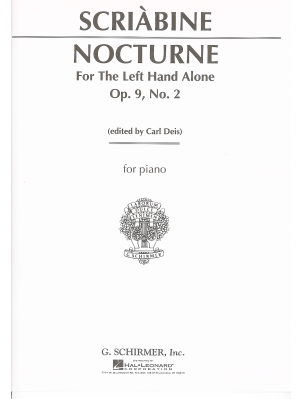 Scriabin, Nocturne for the Left Hand Alone, Op. 9, No. 2, Schirmer ed. 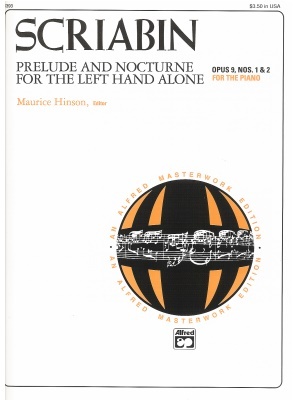 Scriabin, Prelude & Nocturne for the Left Hand Alone, Op. 9, Nos. 1 & 2, Alfred ed. 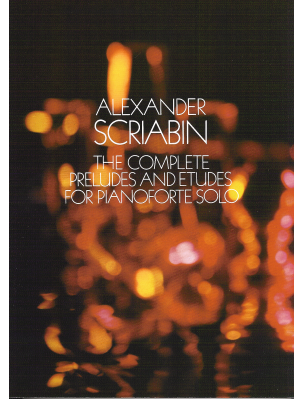 Scriabin, Selected Works for the Piano, Alfred ed. 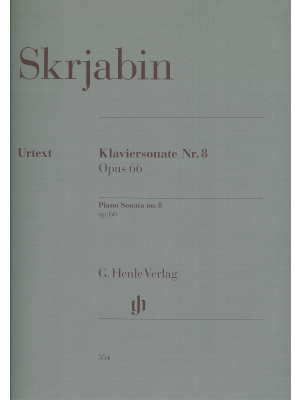 Scriabin, Sonata Op. 62 No. 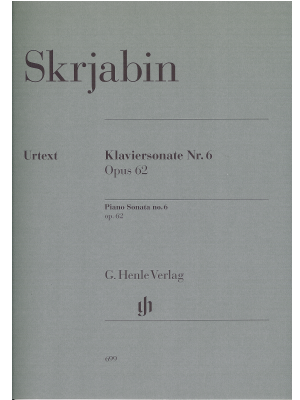 6, Henle ed. Scriabin, Sonata Op. 64 No. 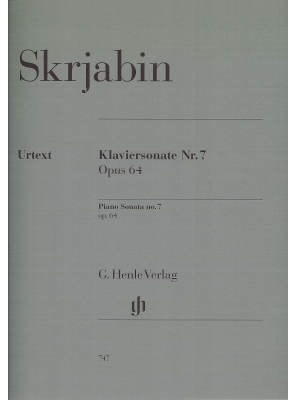 7, Henle ed. Scriabin, Sonata Op. 66 No. 8, Henle ed.